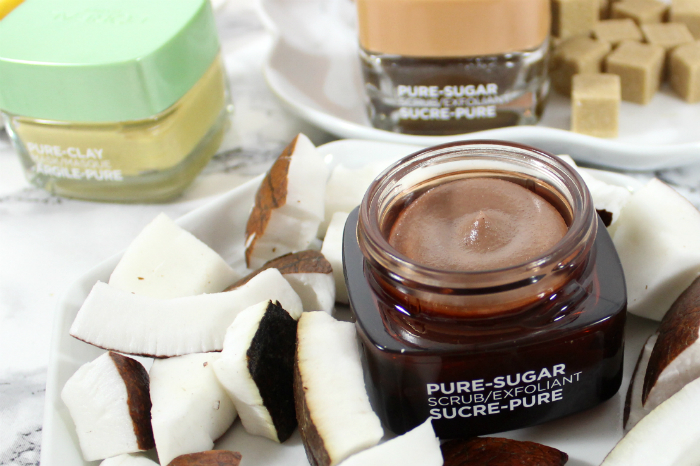 Recently I got the chance to try out a few of L'oreal Paris Canada's new masks and scrubs. 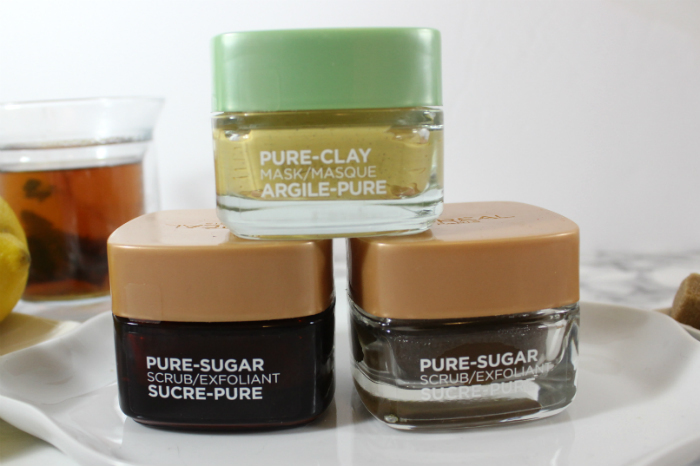 There are two lines, the Pure-Clay Mask line and the Pure-Sugar Scrub line. Now, I haven't tried every product in both lines, but I will share with you what my experiences are with these products since they suite my skin type. I have dry, oh so dry, skin. It also is mid-late 30's skin now, so off-balanced hormonal break out skin now too (fun new things happening every day). 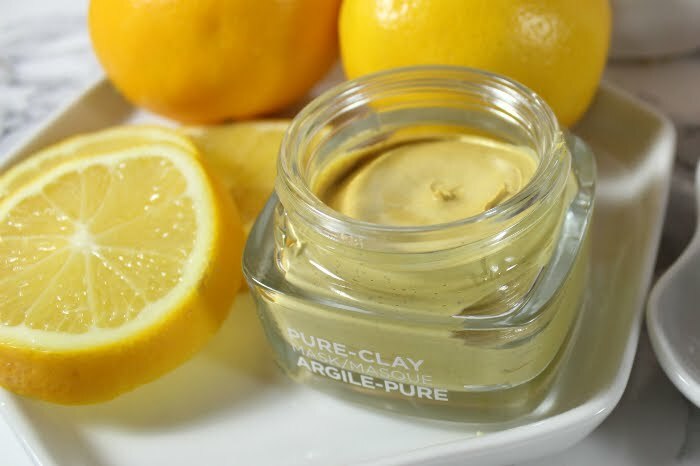 First off I am going to look the Pure Clay mask I got to try, Pure Clay Cleansing Mask. 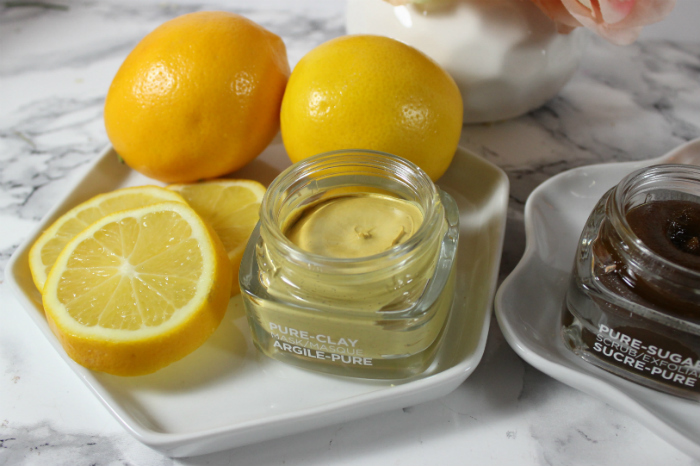 Made with Yuzu lemons and three different clays, it is supposed to help with removing built-up impurities, dirt and pollution. You are supposed to apply a thin layer over your skin and let it sit for 10-15 minutes and use it two times a week. It is a yellow clay tone and goes on real smooth onto the face with just a tiny bit of grit to it. It feels really creamy on the face and dries up on the skin like a typical clay or mud mask. With repeated use you should have some improvement on uneven skin tone and texture. I really like this mask, which surprised me because mud isn't always nice on my dry skin. I think since it has such a creamy texture and maybe the blends of clay in it really help stop my skin from getting all dry or burn (yes mud can make my skin burn like hot fire). Overall my skin was left feeling smooth and soft after using it. 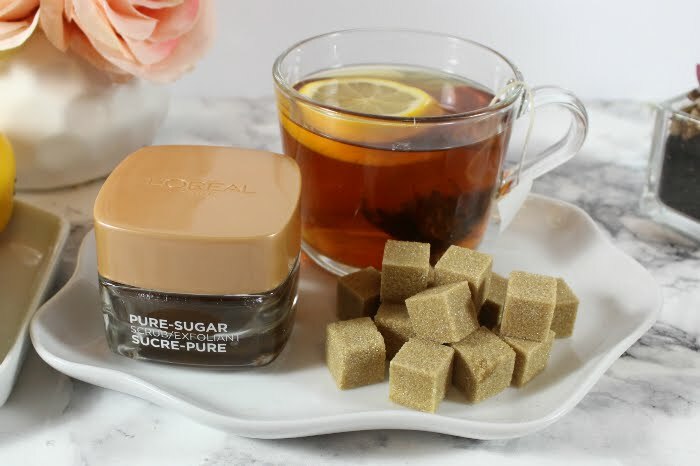 This scrub is formulated with three types of sugar, what types? I honestly don't know, but they feel nice and scuff of my dead skin with almost no effort. It also has grapeseed oil, acai and monoi oil in it to help it brighten up the skin. 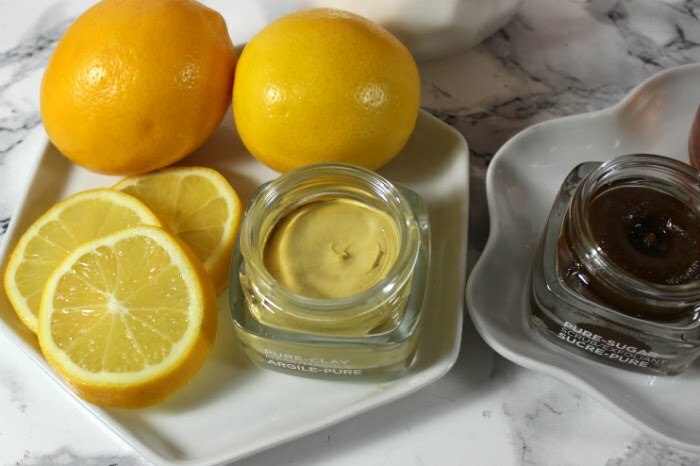 This one you apply to your skin (and lips), massage around and then rinse off, they recommend using it three times a week. I like to leave it on for 10 minutes. This one really reminds me of Fresh's strawberry sugar scrub, which I love so much, but without the strawberry seeds. I like how well this texture of mask removes my dead skin. 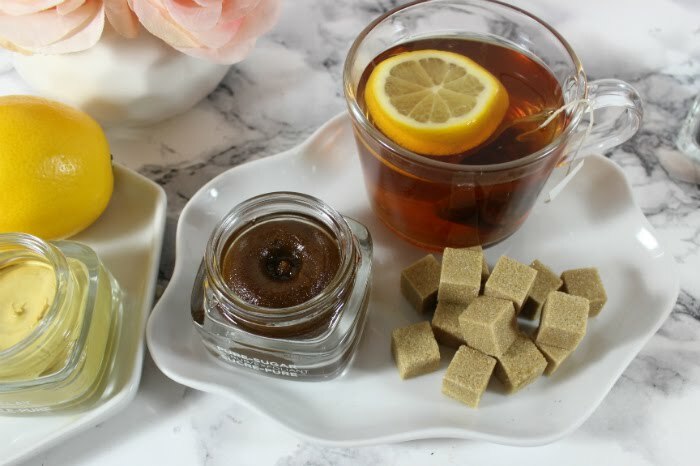 I often get flaky spots on my skin and only a sugar scrub seems to get rid of it. Oh also my skin feels so smooth and soft after using it, I just love it. This baby is a lot like the Dull Skin version, three sugars in it as well. 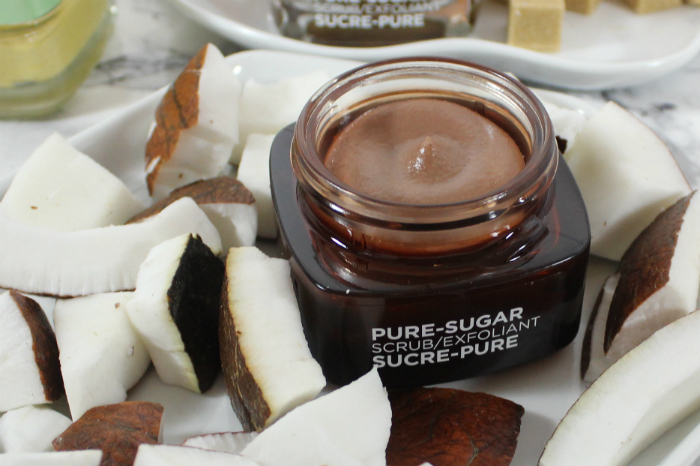 Unlike the other mask, this one has a creamy texture, and the sugar is a little less prominent making it feel less abrasive. It also feels buttery on the skin, that is because it has coconut oil and cocoa butter in it to help nourish dry skin. Just like the other mask, L'oreal recommend applying it, massaging it on face and lips and then rinsing it off and using it three times a week. I like to leave it on for 10 minutes like I do with my other sugar masks (Fresh for example). This mask feels way more buttery then the Dull Skin version. I can only assume that feeling comes from the coconut in it. There is also a Pure-Sugar Scrub for Oily skin, which features Kiwi seeds and is green just like a kiwi puree. As well there is Pure-Clay Energizing Mask, it is grey toned has charcoal in it. Since my skin isn't inclined to respond well to these masks (dry skin here) I haven't tried them. Overall I really like these products! 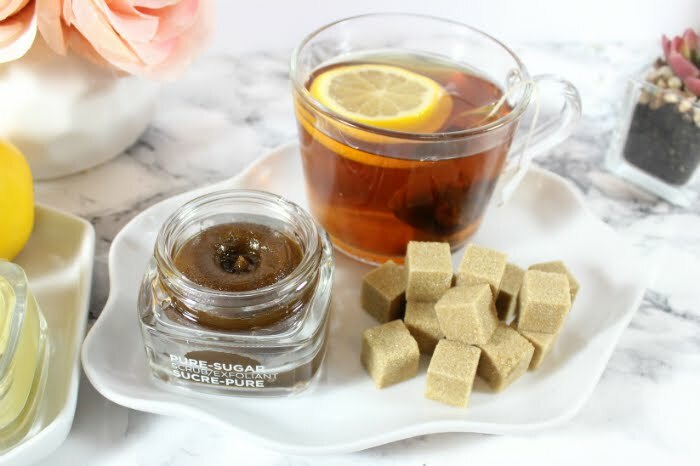 I have been switching between the two sugar ones in my routine and really like how they both work. The Pure Clay mask also has been great to my skin, no burning plus, my post acne pigmentation seems to be responding well to it. What do you think of these masks or scrubs? Have you tried them yet? What is your favourite type of face mask or scrub? *Products were sent from PR for review purposes, all views and opinions are my own.